SAN JOSE, Calif. — On November 8, 2015, more than 20 Jews, Christians and Muslims from Congregation Sinai, Lincoln Glen Church, and Pacifica Institute united to serve 100 meals to the homeless residents of Montgomery Street InnVision Shelter. 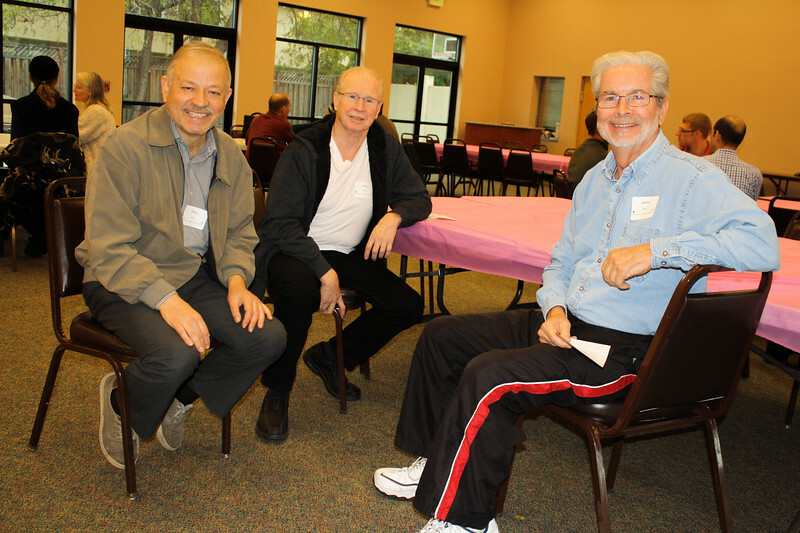 Volunteer orientation was held at Congregation Sinai and led by Rabbi Joshua Berkenwald, Pastor Larry Albright, Mr. Ahmad and Heather Rothenberg. Volunteers united in Jewish-Christian-Muslim buddy groups first to get acquainted, then to prepare and serve the tasty kosher and halal lasagna meal. Muslim volunteers recited afternoon prayers at the synagogue. Rabbi Berkenwald recited a blessing in Aramaic to thank God for the food. Pastor Albright offered a closing prayer of blessing on shelter residents, thanksgiving for serving together, and for new friendships begun. Photos courtesy of Bruce Lippmann, Rinat, Oren Rothenberg. Image Curator: Nathan Flohr.